A cavity or tooth decay is the main reason for a dental visit. Patients want to feel comfortable, be without pain and have the decay stopped before it damages a valuable tooth. 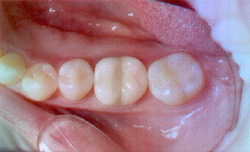 However, a mouthful of visible fillings can make patients self-conscious, and they may avoid smiling openly. Having multiple visible fillings could suggest that a person is unhealthy or that they have been irresponsible with their dental health. This, of course, may not be the case. When utilized within the limits of the material, these new adhesive composite restorations are expected to perform favorably when compared to the earlier non-adhesion restorative materials. Because these new materials adhere to the teeth, contain no mercury and essentially wear at the same rate as “silver” amalgam fillings, they are now considered by many to be state-of-the-art and the new standard of care for dentistry. 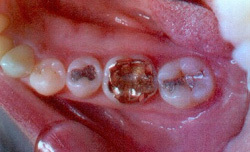 This is why, in addition to the health of their teeth, many patients are concerned about the appearance of fillings. 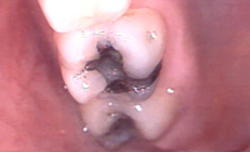 Ceramic and/or composite fillings solve this problem gracefully. Contact Cleveland cosmetic dentist Steven P. Marsh, D.D.S. 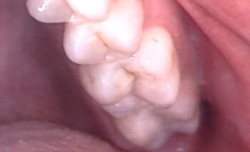 to arrange a consultation about ceramic fillings.